AN EXCELLENT DEVELOPMENT OPPORTUNITY WITH OVER 1100' OF PRISTINE BUILDABLE LAND ON ST. JOHN'S LAKE. SANDY LEVEL SHORE. A LONG BEAUTIFUL DRIVE WITH MATURE TREES INVITES . . . PERFECT LEVEL LOT ON 100 FEET OF SUGAR SAND BEACH. SPECTACULAR SUNRISES AND SUNSETS. CONVENIENT LOCATION TO PARKS, GLACIAL LAKES TRAIL AND SHOPPING. 150' OF LAKE SHORE AND A BEAUTIFUL VIEW OF GREEN LAKE. THE SUNSET WILL SURELY CONVINCE YOU TO MAKE THIS THE PERFECT LOCATION FOR YOUR DREAM LAKE HOME. LOTS CAN BE SPLIT . . .
510' ON LAKE FLORIDA. 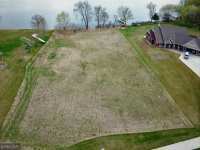 THE LAST OF THE UNDEVELOPED PROPERTY ON THIS HIGHLY SOUGHT AFTER LAKE. WITH WATER ON BOTH SIDES, THIS IS A SECLUDED UNIQUE GETAWAY. A BEAUTIFUL . . .
PICTURESQUE VIEW OF SUNSETS ON ONE OF GREEN LAKE'S FINEST LOTS. BUILD TO SUIT!! REFERENCE TO BUNK HOUSE IS THE PREVIOUS HOME THAT HAS BEEN LEFT ON THE PROPERTY FOR . 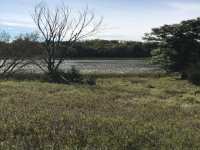 . .
80 ACRE PARCEL D HAS FIELDS, WOODS, LAKES SHORE ON SHALLOW MUD LAKE. 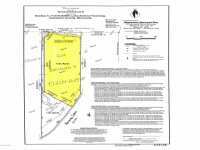 APPROXIMATELY 1/4 MILE EASEMENT FROM 260TH STREET OF A 120 ACRE PIECE PER SURVEY. OWNER WILL . . . THIS COULD BE THE CHANCE OF A LIFE TIME TO OWN A BEAUTIFUL GREEN LAKE LOT! LOCATED IN THE HEART OF DOWN TOWN SPICER, YOU CAN WALK TO THE RESTAURANTS, COFFEE SHOPS, . 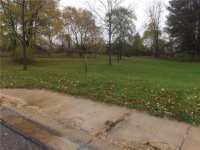 . .
DEVELOPMENT OPPORTUNITY OR POTENTIAL FAMILY COMPOUND. 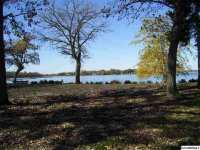 LOCATED ON THE WEST SIDE OF SPRING LAKE WITH GREAT SUNRISE VIEWS. A SURVEY HAS BEEN COMPLETED AND CONCEPT DRAWINGS . . . THIS PROPERTY IS AS UNIQUE OF AN OPPORTUNITY AS ONE CAN FIND AND THESE DON'T COME ON THE MARKET OFTEN. 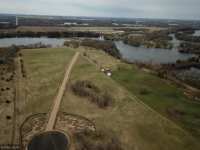 THIS PROPERTY IS IN THE HEART OF THE MN RIVER VALLEY, ALMOST . 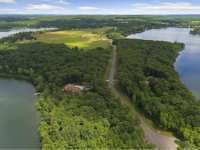 . .
GREAT OPPORTUNITY TO BUILD YOUR DREAM HOME ON 13.2 ACRES LOCATED ON ZUMWALDE LAKE WHICH IS CONNECTED TO THE CHAIN OF LAKES WHERE YOU WILL HAVE ACCESS TO 13+ LAKES TO . . . 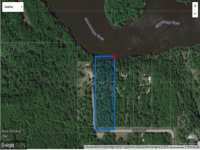 FANTASTIC BUILDING LOT ON HISTORIC ACREAGE OF GREEN LAKE. OPTION TO PURCHASE MINIMUM 100 FOOT LOT. IF YOU WOULD LIKE MORE SPACE YOU CAN PURCHASE MORE. PRICE PER FRONT . . . 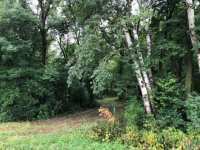 FANTASTIC BUILDING LOT ON HISTORIC ACREAGE OF GREEN LAKE. OPTION TO PURCHASE 100 FOOT LOT. IF YOU WOULD LIKE MORE SPACE YOU CAN PURCHASE MORE. PRICE PER FRONT FOOT IS . . . WELCOME TO ALEXANDER POINT ON BIG FISH LAKE. 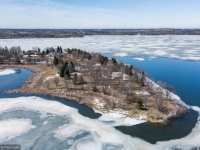 BUILD YOUR DREAM HOME ON THIS BEAUTIFUL 2.75 ACRE LOT WITH NEARLY 170' OF SHORELINE! ENJOY THE ABUNDANCE OF WILDLIFE ON THIS . . . WELCOME TO ALEXANDER POINT ON BIG FISH LAKE. BUILD YOUR DREAM HOME ON THIS BEAUTIFUL 1.34 ACRE LOT WITH NEARLY 167' OF SHORELINE! ENJOY THE ABUNDANCE OF WILDLIFE ON THIS . . . WELCOME TO ALEXANDER POINT ON BIG FISH LAKE. 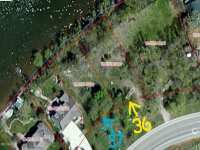 BUILD YOUR DREAM HOME ON THIS BEAUTIFUL 1.34 ACRE LOT WITH NEARLY 185' OF SHORELINE! ENJOY THE ABUNDANCE OF WILDLIFE ON THIS . . . WELCOME TO ALEXANDER POINT ON BIG FISH LAKE. BUILD YOUR DREAM HOME ON THIS BEAUTIFUL 1.42 ACRE LOT WITH NEARLY 155' OF SHORELINE! ENJOY THE ABUNDANCE OF WILDLIFE ON THIS . . .
PHEASANT AND WHITETAIL PARADISE. 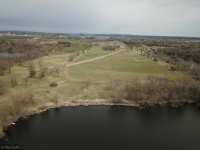 140 ACRES OF PRISTINE MN HUNTING LAND. HIGH-LAND, LOW-LAND, RIVER AND WETLAND. DIVERSE PRAIRIE HABITAT WITH OLD GROWTH. THE CROW RIVER . . .
ARE YOU LOOKING FOR ACREAGE ON A LAKE TO BUILD A DREAM HOME? 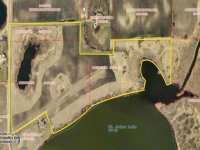 THIS IS VERY RARE AND HARD TO FIND THIS AMOUNT OF ACREAGE AND LAKESHORE ON A LAKE. THERE IS A RAMP CUT DOWN . . . WELCOME TO ALEXANDER POINT ON BIG FISH LAKE. BUILD YOUR DREAM HOME ON THIS BEAUTIFUL 1.28 ACRE LOT WITH NEARLY 155' OF SHORELINE! ENJOY THE ABUNDANCE OF WILDLIFE ON THIS . . . 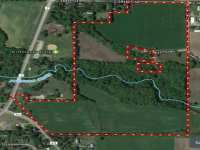 ENJOY OVER 40 ACRES IN ROCORI SCHOOL DISTRICT WITH THE WATAB RIVER FLOWING THRU THE PROPERTY. BRING YOUR OWN BUILDER. MINUTES FROM KRAEMER LAKE &AMP; WILDWOOD PARK, NEAR . . . WELCOME TO ALEXANDER POINT ON BIG FISH LAKE. 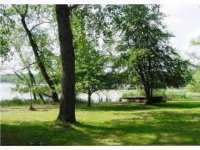 BUILD YOUR DREAM HOME ON THIS BEAUTIFUL 1.7 ACRE LOT WITH NEARLY 150' OF SHORELINE! ENJOY THE ABUNDANCE OF WILDLIFE ON THIS . . . WELCOME TO ALEXANDER POINT ON BIG FISH LAKE. 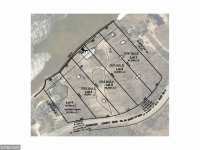 BUILD YOUR DREAM HOME ON THIS BEAUTIFUL 2.3 ACRE LOT WITH NEARLY 160' OF SHORELINE! ENJOY THE ABUNDANCE OF WILDLIFE ON THIS . 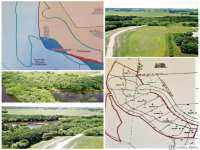 . .
GORGEOUS PARCEL OF LAND PERFECT FOR BUILDING THE HOME OF YOUR DREAMS OR HUNTING LAND. THIS PROPERTY HAS 1300 FT OF LAKE FRONT PROPERTY AND IS LOCATED NEXT TO WELL-KEPT . . .
A DESTINATION DEVELOPMENT DESERVING OF YOUR INVESTMENT. FEEL CONFIDENT IN YOUR PLANS TO BUILD A NEW HOME IN THE NEXT EMERGING PHASE OF RIVER LINKS. LARGER LOT SIZES TO . . . 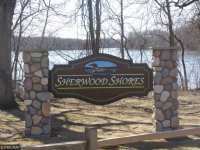 THIS IS AN UNBELIEVABLE LOT WITH 6.39 WOODED ACRES AND 200 FEET OF LAKE SHORE ON PICKEREL LAKE IN SHERWOOD SHORES. 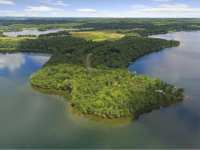 PICKEREL LAKE IS A PRIVATE LAKE WITH A KEYED ACCESS . 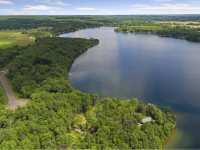 . .
GREAT OPPORTUNITY TO BUILD YOUR DREAM HOME ON 7.5 ACRES LOCATED ON ZUMWALDE LAKE WHICH IS CONNECTED TO THE CHAIN OF LAKES WHERE YOU WILL HAVE ACCESS TO 13+ LAKES TO . . . UNIQUE INVESTMENT OPPORTUNITY OVERLOOKING THE MISSISSIPPI RIVER LOCATED NEAR CLEARWATER'S HISTORIC MAIN STREET. 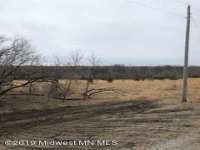 1.75 ACRES OF VACANT LAND READY FOR AN ENTREPRENEUR'S . . . 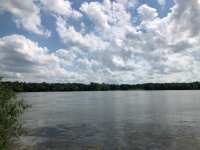 BUILD YOUR DREAM HOME OR VACATION HOME ONTHE BEST PANORAMIC VIEW ON SAUK LAKE.THIS IS PROPERTY IS A 2+ ACRE PORTION OF THE PENINSULA ON THE NORTH OF THE LAKE. ONCE IN A . . . 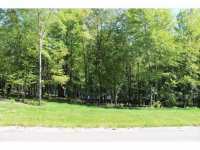 THIS HEAVILY WOODED LOT INCLUDES ALMOST 5 ACRES OF LAND AND 179 FEET OF LAKE FRONTAGE. ELECTRICITY IS ON SITE ALSO A WELL WITH SUBMERSIBLE PUMP AND PRESSURE TANK. ALSO A . . . 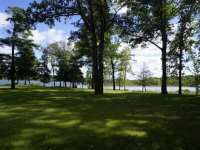 THIS IS THE PERFECT 4 ACRES TO BUILD YOUR DREAM HOME ON THE SHORES OF THE MISSISSIPPI RIVER. ENJOY THE WILDLIFE AND SUNSETS WITH THE BREATHTAKING PANORAMIC VIEWS. YOU . 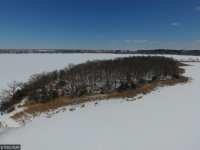 . .
160+ FEET LAKE FRONTAGE ON KOETTER LAKE. LOCATED ON PRIVATE CUL-DE-SAC WITH LEVEL LOT TO WATERS EDGE. 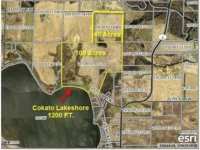 APPROXIMATELY 1.4 BUILDABLE ACRES WITH SANDY BEACH, GREAT LOCATION . 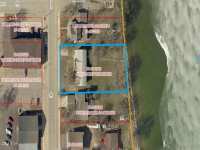 . .
2 LOTS TOTALING ALMOST .9 ACRES OVERLOOKING THE MISSISSIPPI RIVER IN DOWNTOWN CLEARWATER. CURRENTLY ZONED RESIDENTIAL MULTI-FAMILY. THE PROPERTY PRESENTS NUMEROUS . 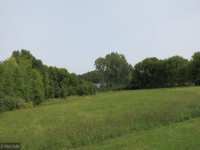 . .
300+ LAKESHORE LEVEL LOT, 4.5 ACRES. SOME LOW LAND. HARD TO FIND LAKESHORE. 1 HOUR WEST OF METRO. CLEARWATER FOR FISHING &AMP; RECREATION. DEEP WELL, HOLDING TANK, BRICK . . . THIS LOCATION IS LIKE NO OTHER AND PROVIDES A GREAT OPPORTUNITY FOR YOU TO BUILD YOUR DREAM HOME. THE PAVED DRIVEWAY WINDS THROUGH THE TREES AND LEADS BACK TO THE END OF . . . 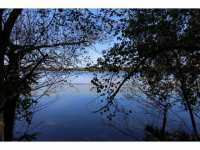 ENJOY 20 PLUS ACRES INCLUDING ACCESS TO MUD LAKE. GREAT HUNTING LAND OR BUILD YOUR DREAM HOME. 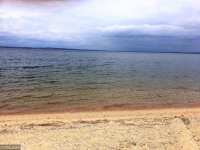 EXCEPTIONAL LEVEL SANDY BEACH, 100' OF SHORELINE. 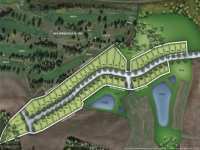 FINEST LOT ON DIAMOND LAKE FOR BUILDING. 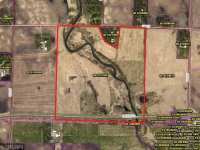 GLSD INSTALLED IN 2010, WELL CAPPED AND ABANDONED BY THEIN WELL FALL OF 2010, . . .
A FABULOUS OPPORTUNITY TO BUILD YOUR DREAM HOME ON 12.08 ACRES, LAND HAS LOTS OF MATURE TREES &AMP; 1000 FEET OF SHORELINE LOCATED ON THE SAUK RIVER. THERE IS A ROAD . . . THE SELLERS THANK YOU FOR NOT ENTERING THE PROPERTY WITHOUT A REALTOR. WOODED LAKE LOT ON THE EAST . 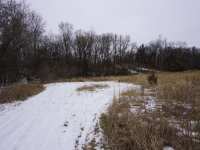 . .
117.65 ACRES MINNESOTA RIVER RUNS THROUGH THIS PROPERTY. CATFISH TOURNAMENT AREA. GOOD WILDIFE VARIETY INCLUDING DEER. RIM EASEMENT. CLOSE TO TOWN. ''ONE OF A KIND'' 4+ ACRES OF WOODED PARADISE! BEAUTIFUL SUNRISES ARE INCLUDED WITH THIS EXCEPTIONAL LOT WITH APPROX. 155' OF SHORELINE. THE BEACH IS SANDY WHICH . . . 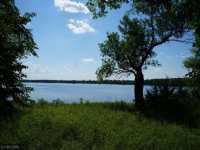 BUILD YOUR DREAM HOME OR CABIN ON BOLFING LAKE. BEAUTIFULLY WOODED ON A QUIET PRIVATE ROAD. A GREAT LAKE FOR HOURS OF BOATING AND A FISHERMAN'S PARADISE W/ 13+ . 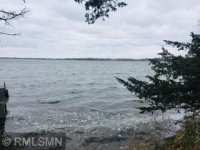 . .
2 Listings in Atwater MN ..
1 Listings in Belview MN ..
10 Listings in Clearwater MN ..
24 Listings in Cokato MN ..
2 Listings in Franklin MN ..
3 Listings in Garvin MN ..
20 Listings in Hutchinson MN ..
2 Listings in Pennock MN ..
3 Listings in St Joseph MN ..